Yesterday marked the fifth anniversary of the PlayStation 4 release and Sony celebrated it with a blog post detailing some key figures, as usual through an infographics image. 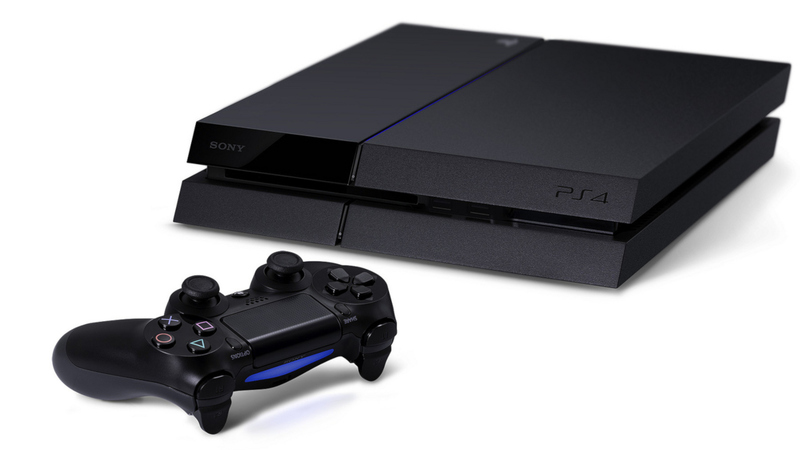 To date, the console has sold 86.1 million units globally and 777.9 million PlayStation 4 software units were sold, too. There’s little doubt that Sony won this console generation, that’s for sure; it already surpassed the lifetime sales of the PlayStation 3 (around 83 million) and it’s only slightly behind the PlayStation 2’s impressive 87 million units sold in its first five years. There were eleven major system updates since the console’s release in November 2013. 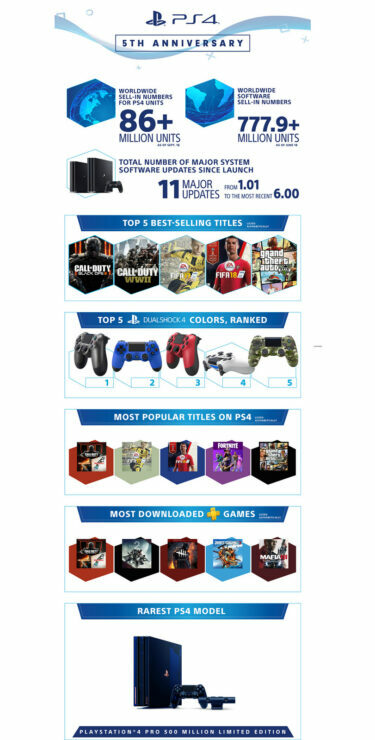 The five best-selling games were unsurprisingly Call of Duty: Black Ops III, Call of Duty: WWII, FIFA 17, FIFA 18, and Grand Theft Auto V.
The most popular chart is very similar, with Black Ops III once again taking the top spot, though FIFA 17 and FIFA 18 rise one place each, while Epic’s phenomenon called Fortnite takes the fourth spot and Grand Theft Auto V remains at the same fifth place. The infographics also shared the five most downloaded PlayStation Plus games. Once again Black Ops III commandeered the first place, with Destiny 2, Dead by Daylight, Just Cause 3 and Mafia III following in this order. At the same time, Sony announced a new Black Ops 4 PlayStation 4 bundle, now available for pre-order on participating retailers such as Best Buy ahead of the planned November 27th release. Priced at $299, it includes a jet-black 1TB PS4 system, a matching DualShock 4 wireless controller, and Call of Duty: Black Ops 4 on Blu-ray Disc. We are now entering the final years of the console – some developers are already openly developing for its inevitable successor. However, given Sony’s fresh decision to forego E3 2019, 2020 seems ever more likely as the launch year for the yet-to-be-announced PlayStation 5. Kotaku just cited game developers sources that also point towards this direction.